The CEO Guide to Customer Service | Turnkey Technologies, Inc.
Set yourself apart from competitors by creating exceptional customer experiences. Leading companies understand that they are in the customer-experience business, and that how they deliver for customers is as important as what it they deliver. This eBook illustrates how by focusing on the customer, more efficient, collaborative and agile ways of doing business fall into place. Learn more with expert input from McKinsey Quarterly. Just provide your basic information and this eBook is yours! Microsoft Dynamics 365 lets you choose only the CRM applications you need to run your business, or bundle them with connected financials or operations. Now "decoupled" into its individual components, you can subscribe to Sales, Customer Service, Field Service, or Project Service automation as your needs expand, or bundle them together for a comprehensive CRM solution. With Dynamics 365 for CRM, you gain a connected solution to more effectively engage your customers, work smarter and sell faster. Deliver the best customer experiences during every interaction - from sales and service to marketing and social media, with centralized data that helps you turn every interaction into an opportunity. In our connected and customer-centric world, the number one factor driving loyalty is the sales experience. Selling has changed. Customers find information and reviews on their own, forming opinions and narrowing choices before ever contacting a salesperson. 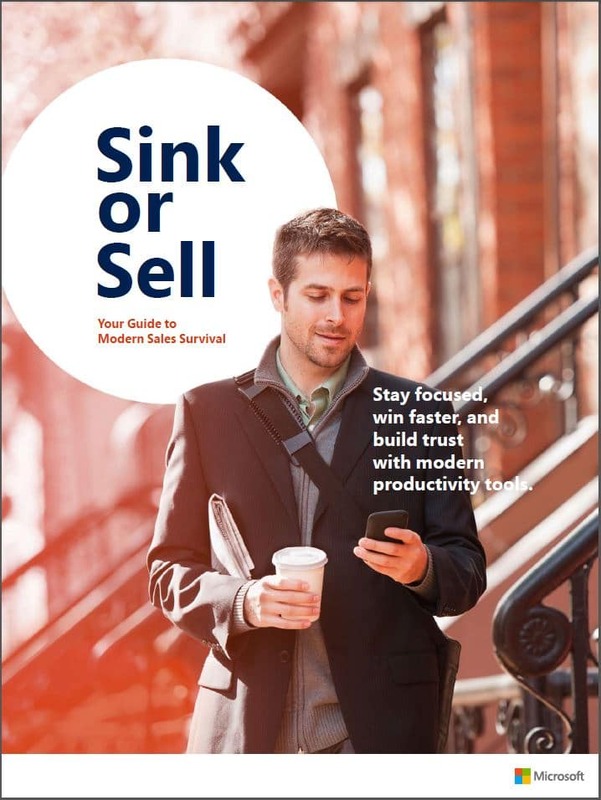 Download this free eBook to learn how to transform your sales organization by adopting modern sales productivity technologies.